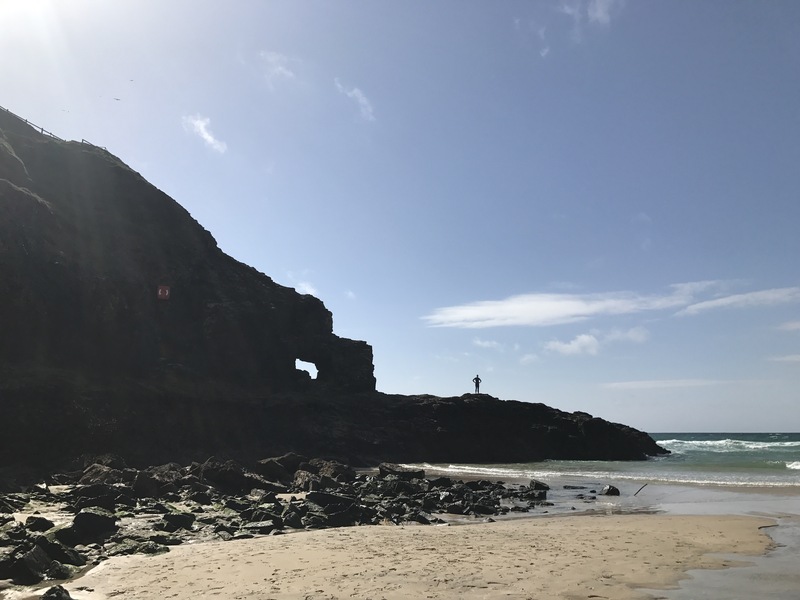 For the first few summers of coming to Cornwall we have driven past Perranporth on our way to Chapel Porth or St Agnes but it always looks so busy we never stopped. When we came out of season for the first time we decided to visit and we are so glad we did. 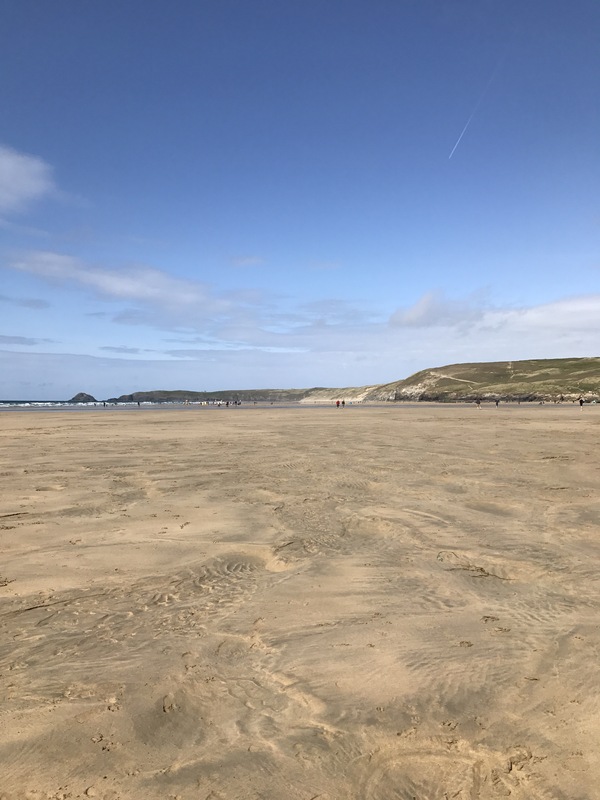 There is a small car park right by the beach but it fills up very fast out of season so you would have to be very organised and early to get on in summer. Also it is very tight to park, Steffan is fine but I wouldn’t be able to park our Volvo in there. 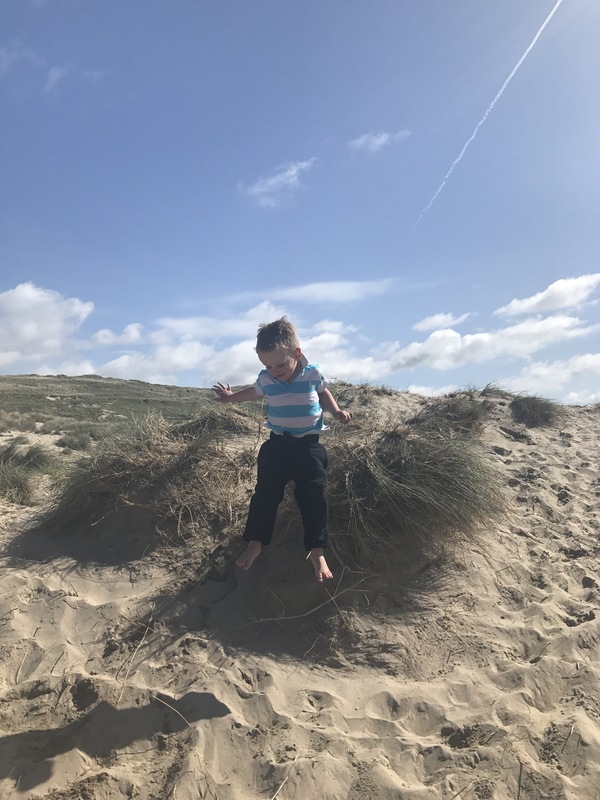 There is another car park at the top of the hill that has lots of parking but you would then have to walk down with all your beach stuff and the kids unless one of you did a drop off at the bottom. On the beach there is a pub called the Wateringhole. It does gorgeous hot chocolates and so it’s our favourite beach in winter to have a walk along and then sit and warm up with a drink. It’s also a great place in summer with lots of outside seating. They hold concerts in the summer with fantastic line ups. 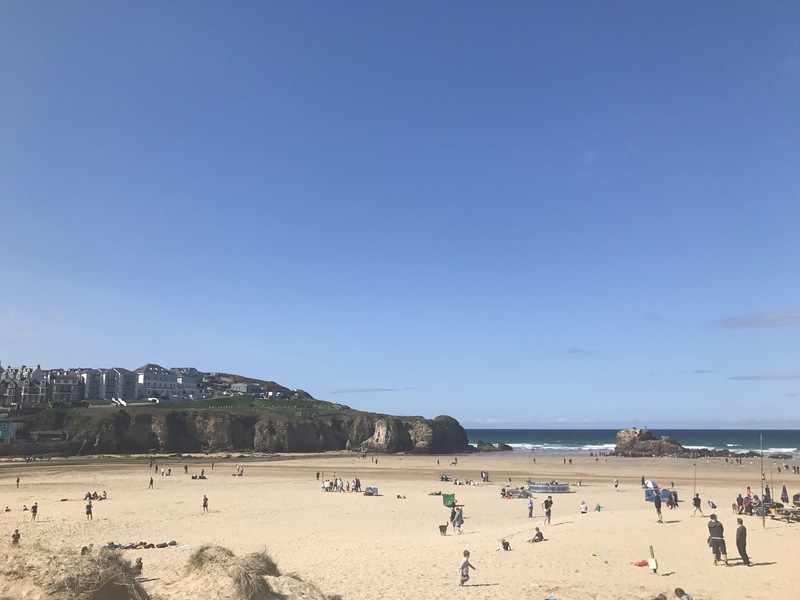 The first thing I always notice about Perranporth is the sand. It is so incredibly soft. Absolutely gorgeous to walk on without shoes. At low tide it is enormous and you can walk along to the right for miles. We like to walk along the beach and then back along the sand dunes. 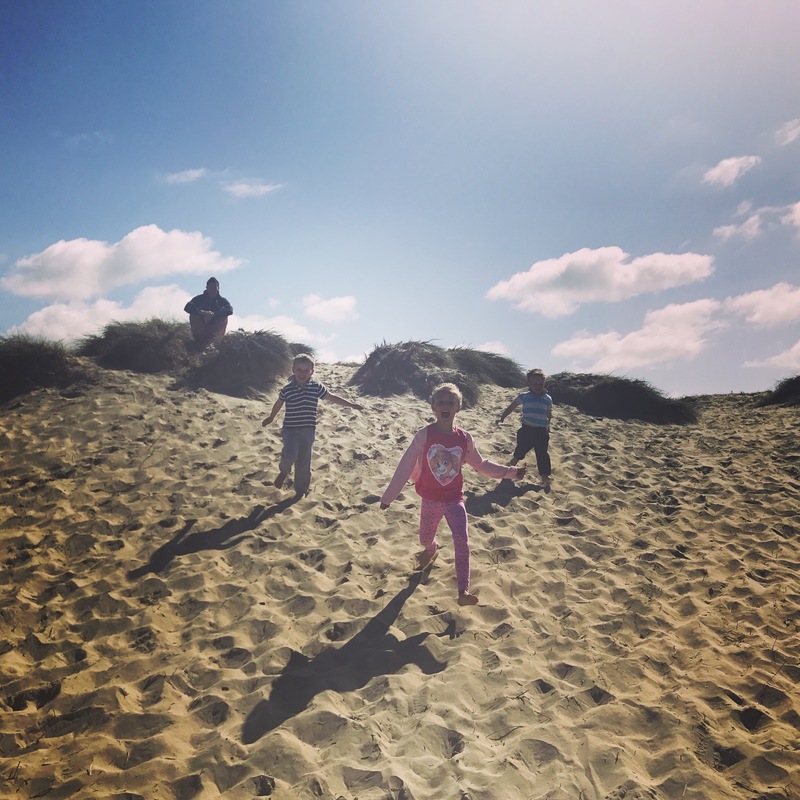 The kids love playing in the dunes. 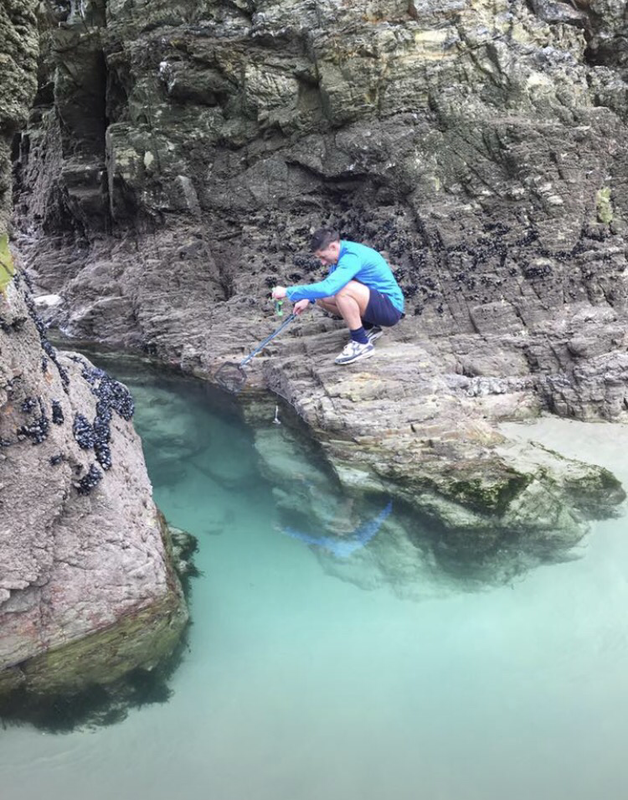 To the right when the tide is out there are amazing rock pools. We never fail to catch crabs. 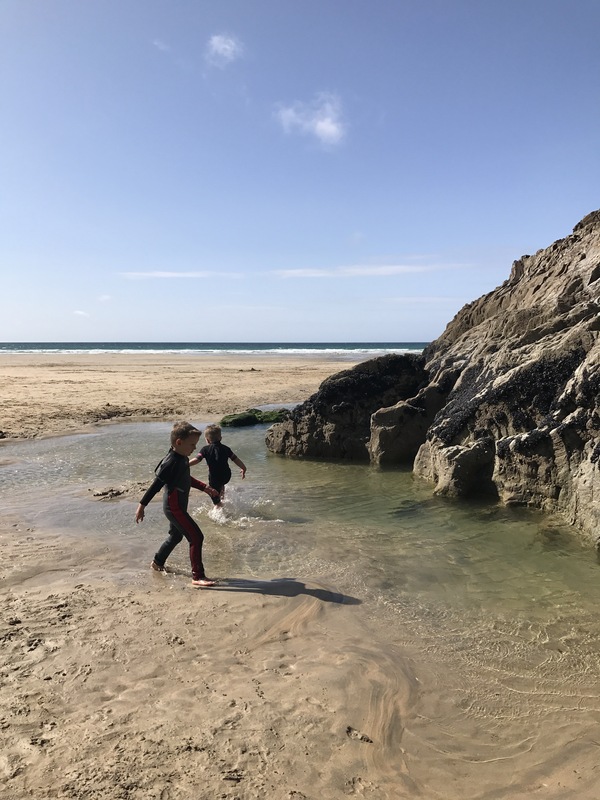 But the pools are also deep and sandy so the kids also love swimming through them as they are warmer than going in the sea. The colour of the water in some of the pools makes it look like you are in another country. 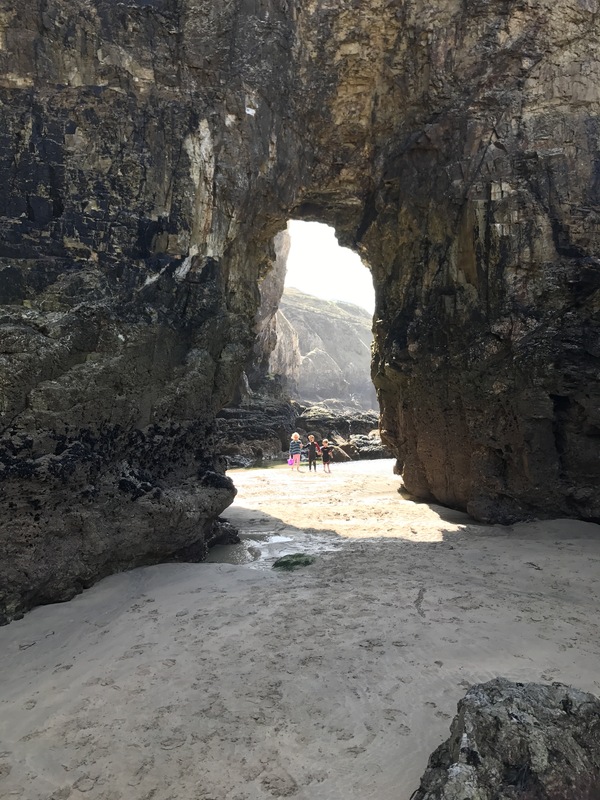 The way the rocks have been carved by the sea means there are some amazing arches to run through. 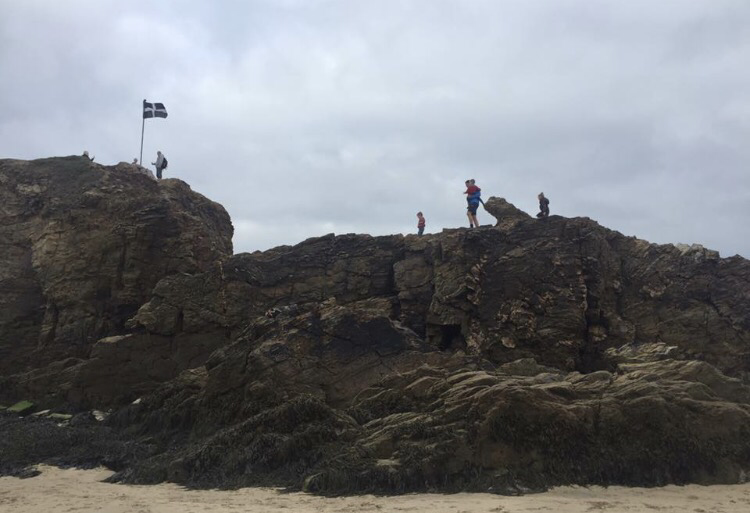 Further up the beach there is a large rock that has a Cornish flag at the top. The kids were watching CBeebies and saw a little boy climb this very rock so they had put it on their to-do-list. 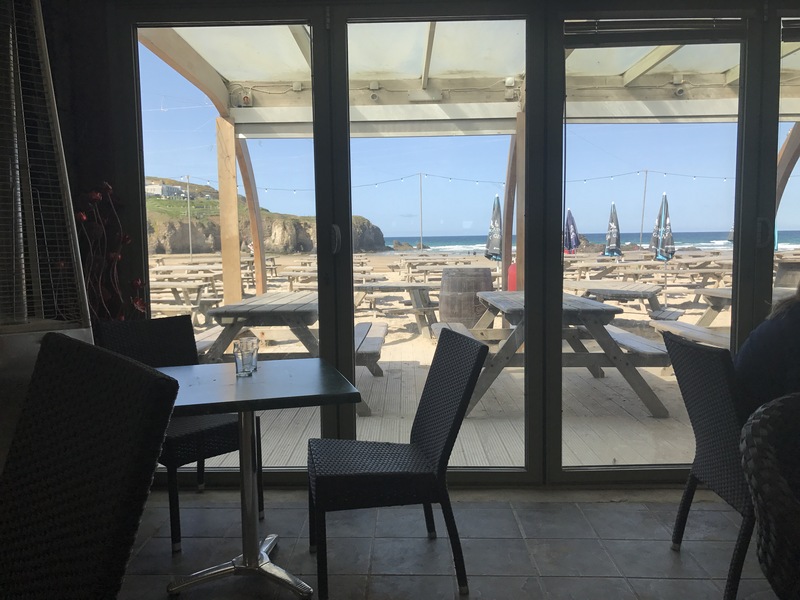 Perranporth is very open so you would need a tent or a windbreaker on even a nice day as there is always a breeze. Off the beach there is a small town with shops to walk around including plenty of places to eat and drink. It is a fantastic beach with lots of activities for the whole family to enjoy.